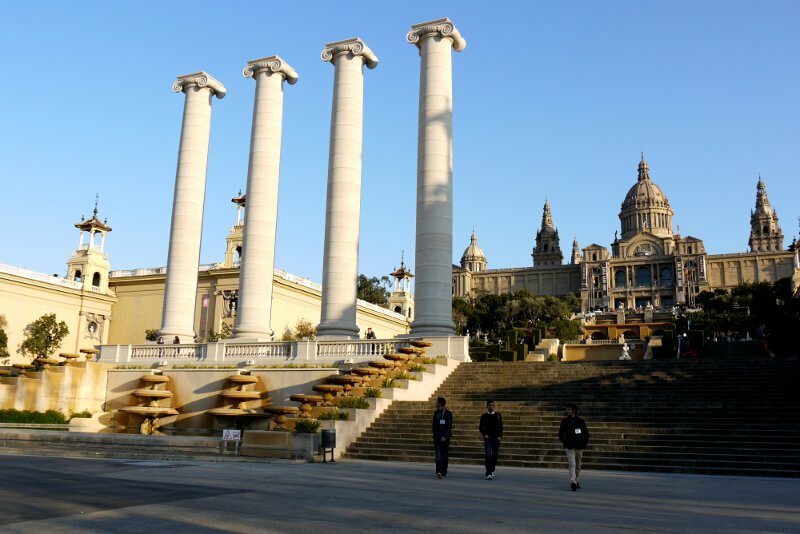 Barcelona Shore ExcursionsAre you arriving by cruiseship? Explore this area! Very sober and other very imaginative works : Puig i Cadafalch was capable of the most opposite projects. We strongly recoment a visit to the jewel of the production of this architect: the Ametller house. Again it is a commission from an important entrepreneur, this time from the chocolate industry. The Ametller House is one of the essential visits that Barcelonina recommends without hesitation because, in addition to its architectural beauty, will allow you to imagine the daily life of a family of the Catalan bourgeoisie of the early twentieth century, although some of the original pieces of furniture are on display at the MNAC (National Art Museum of Catalonia). But, in addition, the visit must necessarily end in the coffee – shop that is on the ground floor. There is a real feast for the chocolatiers and the opportunity to admire the fantastic restoration of the old carriage entrance. We finish the tour away from the Eixample and closer to the Montjüic area. Near the Plaza España, going up to the Spanish Village, we will find one of its most well-known works: the Casaramona factory, current headquarters of the Caixa Forum, which we will access after having passed before other projects of the architect that were built for the Universal Exhibition of 1929: the staircase, the viewpoint of the National Palace and the four symbolic columns of the four bars of the shield and the flag of Catalonia. Casaramona is an imposing building that belonged to the cotton businessman Casimir Casarramona. The exterior is characterized by the use of exposed brick with ceramic finials to embellish the profiles of the different buildings. 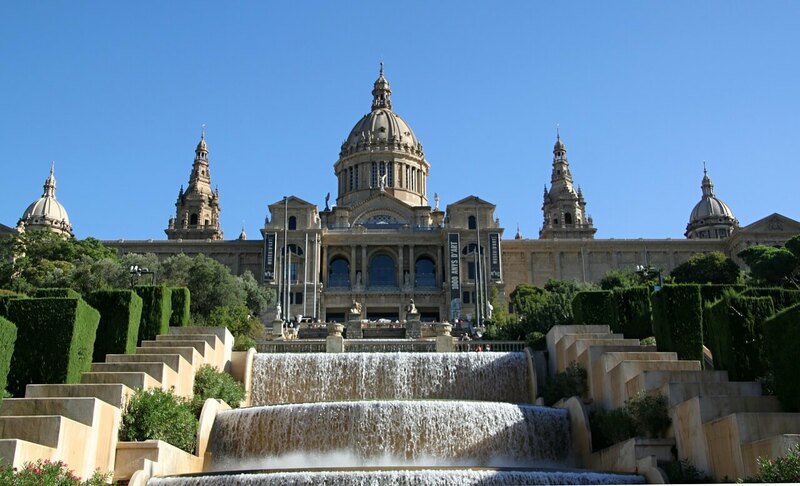 These are organized horizontally, very similar to what happens in the architectural complex of the Hospital de Sant Pau . In 1913 it was a model factory that looked after the conditions of hygiene, comfort and modernity, such as using electric power. This allowed him to supplant the coal and the typical chimneys. 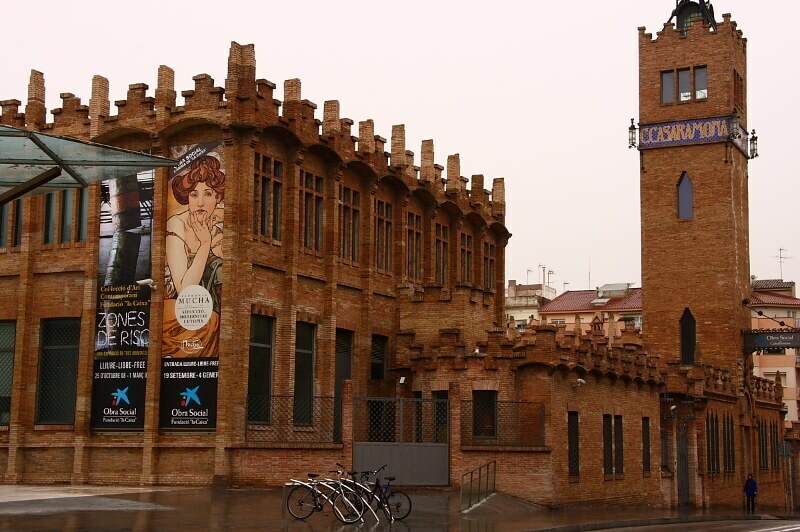 Barcelonina can also guide you in the visit of the excellent exhibitions that the Caixa Forum Foundation organizes in the building. Tired? You have several works left to see that we can leave for another time; but we will mention them in case you want to take note: inspired by the palaces of the Renaissance, we have the Casa del Baró de Quadras, which was the headquarters of Casa Asia and is currently the headquarters of the Ramón Llull Institute; the Macaya Palace on the Paseo de San Juan, where conferences, exhibitions and concerts take place (a building to which Barcelonina is very fond of the sculpture of a modern woman riding a bicycle adorning a capital of the entrance) and, as maximum curiosity, the Laribal Gardens that he designed for the environment of the popular Font de Gat. And is that Puig was a truly versatile man. We can not here extend in explaining his facet as Catalan nationalist politician but by curiosity we will say that he was a mayor of Barcelona City Council working on both issues of museums and sewer sanitation of the city. What do you think? Which Josep Puig i Cadafalch do you prefer? Whatever work we choose, this architect, politician, historian, archaeologist, urban planner and designer is and will be a key piece of the most cosmopolitan Catalan modernism.